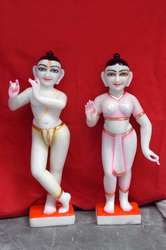 Clients can avail a breathtaking collection of Marble Iskcon Statues from us. 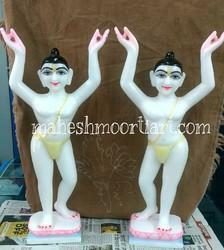 We design and develop these statues in finest quality marble and carefully etch the minute details of the statues. Available in multiple designs and sizes, this range is well admired among the clients for its beauty, quality, and cost effectiveness. 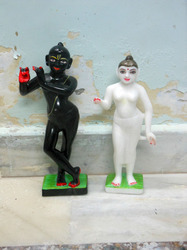 Marble gora-nitai idol White marble idol with very fine workmanship. done by expert and it have light and very properly paint. This statue made by Makrana Marble. Gold Work on Statue & Light Paint work done. 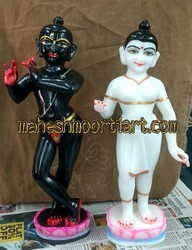 These statues made by Black marble andMakrana Marble.Light Paintwork done. 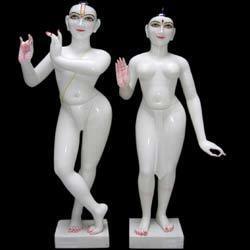 We are one of the most renowned designers, manufacturers and suppliers of an exquisite collection of Marble Iskcon Radha Krishna Statue. This range is attentively crafted by our bunch of seasoned craftsmen and artisans in pure marble stone. The range is well known for it’s out of the world beauty and matchless quality. We offer this range to our clients in varied sizes at industry leading prices. 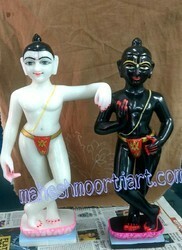 Looking for Marble Iskcon Statues ?